Upon walking through the door, I spotted the evidence strewn about like mounds of paper snow. 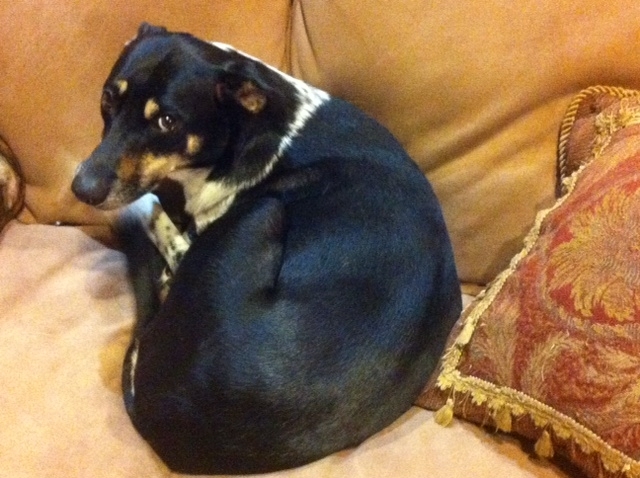 I immediately suspected the culprit was my border collie mix, Callie. 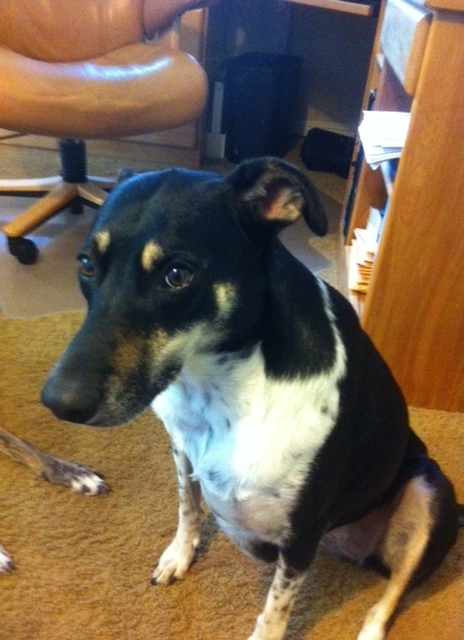 She’s a chewer and she bores easily – two rather unfortunate traits in a canine. 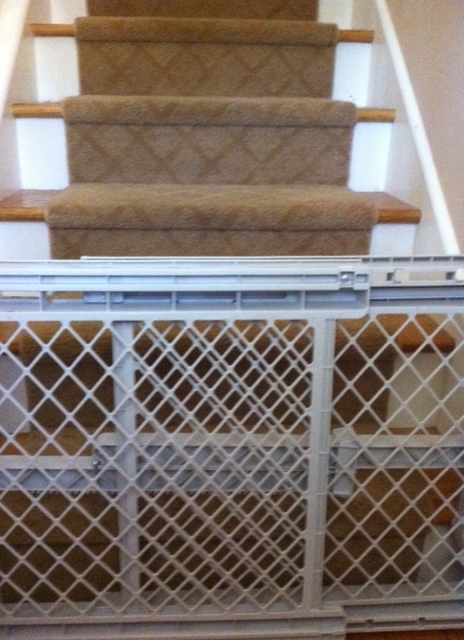 Anyway, rushing out today, I forgot to lock the baby gate leading upstairs. This gate blocks Callie’s access to the bathroom, where yesterday a full roll of TP sat at her nose level, just ripe for the picking (play on words intended). Consequently, the house ended up adorned with pillow top softness – down the stairs, throughout the living room, into the kitchen and finally the family room, where I found the circular cardboard thingy that holds the paper. Callie sat to the side, wide-eyed and attempting to radiate innocence. When I looked her way, Callie turned her eyes (without moving her head) and glanced toward my two other mutts, Nellie and Skip. I half expected to see her nod in their direction as if to say, They did it. It was definitely them. 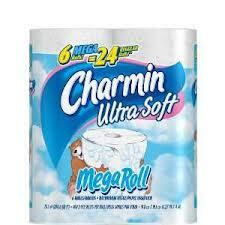 Callie (no doubt) went looking for something more substantial to chew after the TP incident. Unfortunately, I left the remote on my bed which, apparently, she discovered; I’d know those teeth marks anywhere. 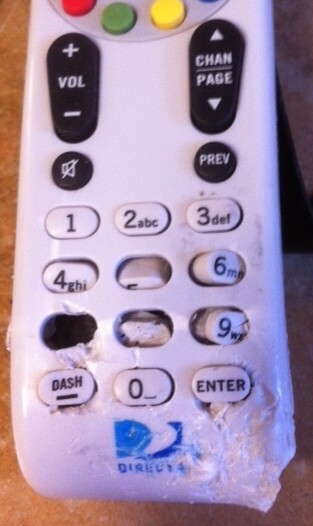 Anyway, I called DIRECTV, once again, to request a new remote. 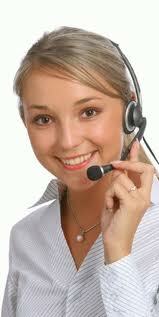 And once again I got Tabitha on the other end. What are the odds? It’s been at least 6 months since I ordered the last replacement and there she was, seemingly waiting for my call. So my good friend Tabitha promptly ordered me a new remote and all is well with the world. Until I forget to lock the baby gate again. Callie Rose came into my life unexpectedly, as most things do that are meant to be. A couple years ago, the Marin Humane Society asked me to foster her and I couldn’t say no. Who could? 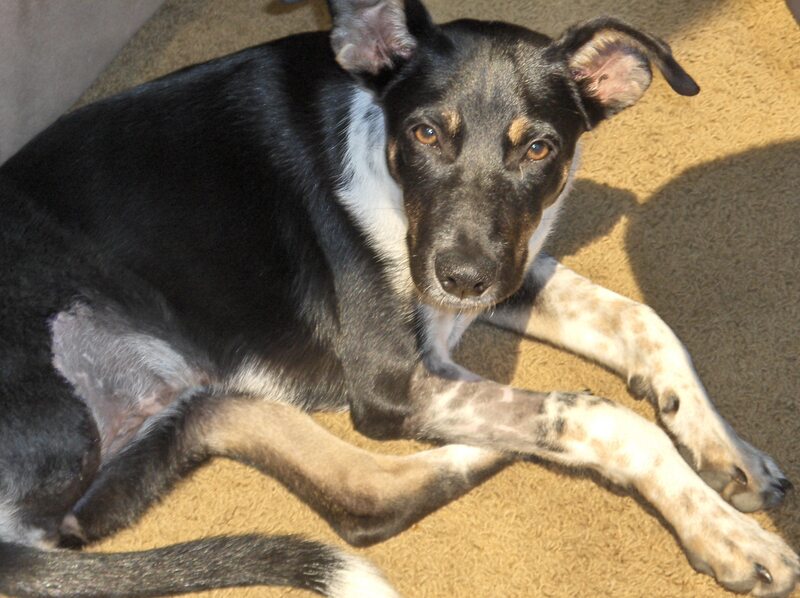 At 3-months-old, Callie was hit by a car, shattering her right hind leg beyond repair. The pain must have been unbearable, yet she arrived with tail wagging. Can you imagine? 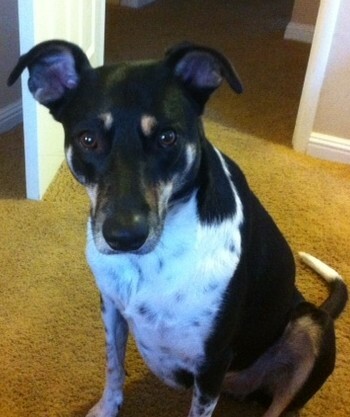 Naturally, her leg needed to be amputated, and so began Callie’s recovery. I met her a day after her surgery. She was bandaged like a mummy around her hind end and most likely in discomfort, but her tail still flapped like windshield wipers stuck in the ON position. Yes, Callie is one happy dog and almost as fast as my Greyhound. She doesn’t know she’s missing a leg and I usually forget too, until I see her little stump moving to scratch an itch. She’s nothing if not expressive, saying it all with her eyes. I now recognize her various faces. There’s the, I’m-worried-and-want-to-get-out-of-here face. There’s the jealous face when I dote on anyone but her, the pleading face when she wants to finish my sandwich, and of course, her guilty face, which she displays pretty much on a daily basis. Now don’t get me wrong; there are moments when I wonder what I was thinking by adopting a three-legged canine who’s fearful of unfamiliar dogs and who digs in my garden – deep enough that I may as well put in a pool because she’s already done most of the excavating. But like any relationship, you take the good with the not so good. Callie gives so much more than she takes. I adore that she’s jubilant every morning to see me awaken – her body tucked against mine, head resting on my arm, her expressive eyes willing me to open mine so she can smother me with morning kisses and nuzzle her head into my neck. Not a bad way to start each day, don’t you think? Yep, Callie is so worth a boat-load of TP and what I’m sure will be years of continued contact with my good friend, Tabitha. 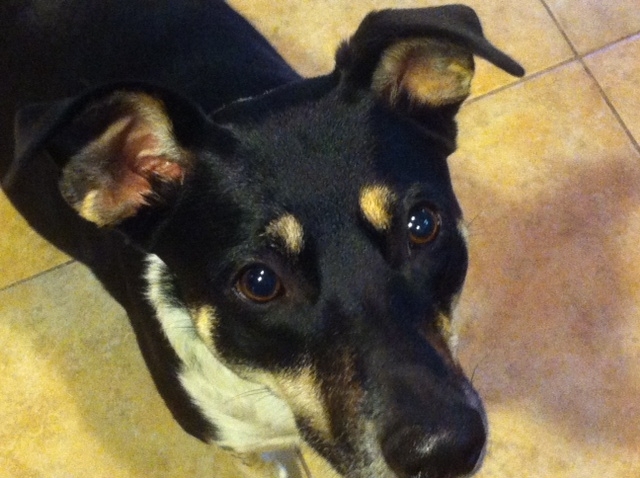 This entry was posted in Musings, Pets and tagged border collie, dogs, humor, pets. Bookmark the permalink. FACTS? I don’t believe a word of it. I’ve met Callie and she couldn’t possibly do those naughty things. It was probably some raccoon that sneaked in through the doggy door. Poor innocent thing . . .
Again, I love your writing. If you’re ever in the market for a really durable dog chew-toy I’d like to suggest two brands: Kong and Orca. They’ve been perfect for my chew-a-holic Heelers. Some you can even stuff with jerky. My Twins prefer the squeaky ones ( built in squeaker so they can’t dislodge and swallow it). Thanks Maria. I do actually have a bunch of Kong’s and assorted chew toys throughout the house, but Callie seems to lose interest in those once the peanut butter is gone or she retrieves the treat stuck in the middle. She’s getting better, the older she gets, so I think soon my house should be a chew-free zone! Most days I would agree with you….